When was the last time you cleaned your sofa? Let’s admit it, no one cleans their sofas on a regular basis. Although the reasons may vary from not having enough time, to requiring a special cleaning kit, in the end the time goes by and your furniture loses its original glow. Clean the plastic or glass container and dry to remove any unwanted substances. Use the strainer to sprinkle the mixture all over your sofa’s cushions and let it sit for an hour (or more). By doing this you will allow the baking soda to penetrate the fabrics, which will kill the dust mites and other types of bacteria. Next, vacuum the cushions thoroughly. You will soon start noticing how the fresh scent of lavender deodorizes the fabric and your home. One more good thing about this recipe is that can also help you to clean carpets and mattresses! However, this recipe only works on some type of fabrics. We suggest that you test the mixture on a small surface before applying to the entire piece. 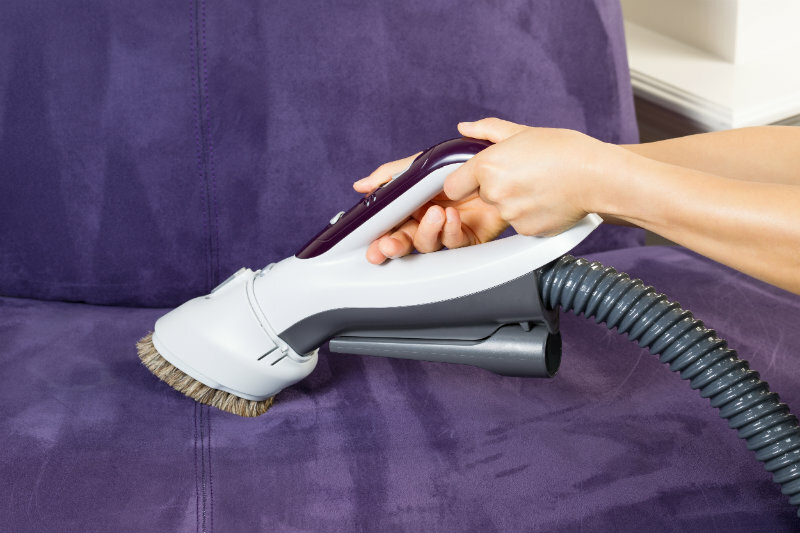 Also, some stains such as wine and beetroot can only be removed through professional upholstery cleaning using stronger solutions and other type of cleaning techniques. Be sure to call us to set you up with a professional carpet and upholstery cleaner near you!